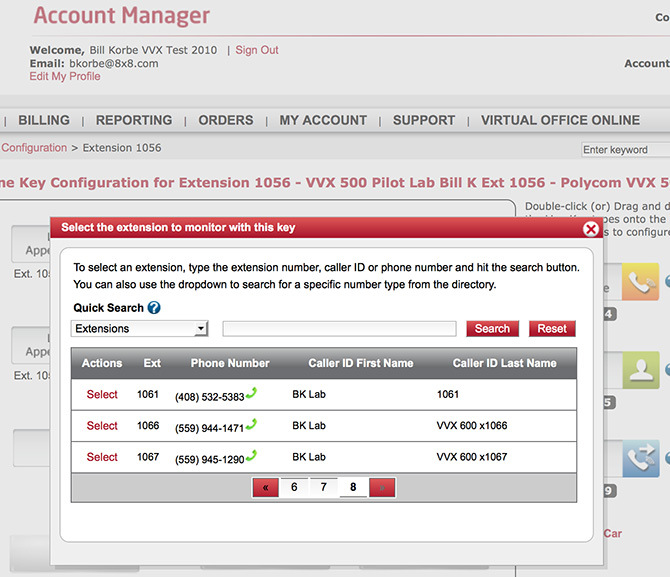 8x8 Power Keys (formerly known as Virtual Receptionist) is an add-on service that provides powerful call handling and work group monitoring abilities using any Polycom phone with four or more line keys, using your new VVX phones, or using your new VVX phones with SideCars attached. Using the Power Keys service, a manager or a power user can handle multiple calls simultaneously and monitor the availability of other extension users on the same PBX. For more details, refer to the Power Keys User Guide. 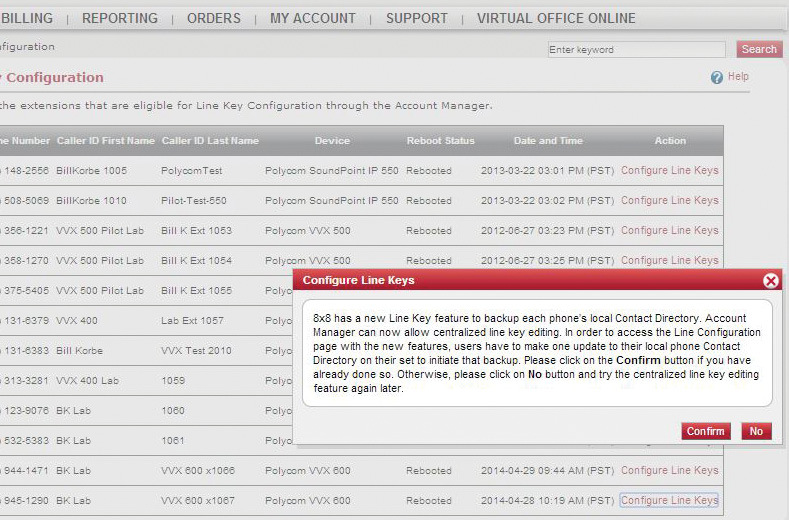 As a Virtual Office PBX administrator, you can set up the initial configuration of line keys in Account Manager, and push these settings to the Power Keys enabled extension phone from Account Manager. 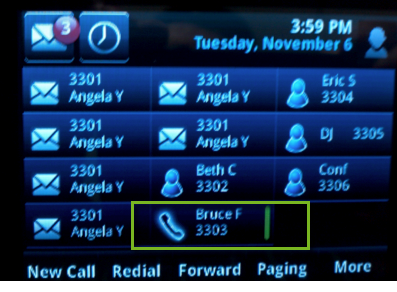 Line Appearance Key (LAK): to receive and handle multiple live calls. 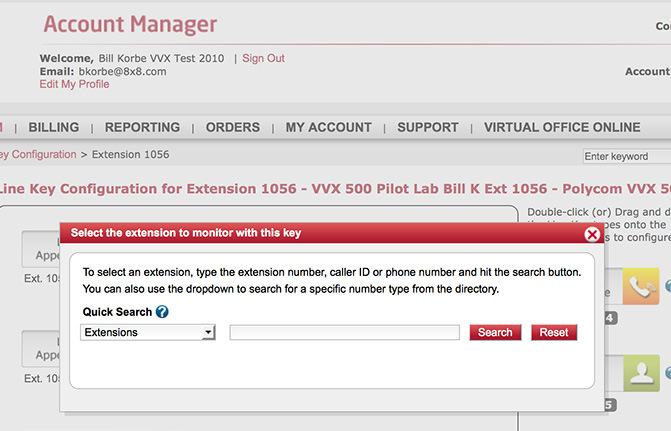 Busy Lamp Field Key (BLF): to track the status of other extension users on the same PBX. Speed Dial Key: to quickly dial out to most frequently used number. A list of extensions eligible for line key configuration displays. Perform the back-up process on your device. For details, refer to Appendix B. The Line Key Configuration page shows the device key map with assigned keys and unused spare keys on your phone. Note: The number of LAK and BLF keys allowed for the extension depends on the Power Keys plan it is associated with. Refer to Appendix A for the table for details on the Power Keys Plan and corresponding LAKs and BLFs. There is no limit on the number of speed dials. Drag and drop Line Appearance Key on an unused key, or click on a key for the key type option. 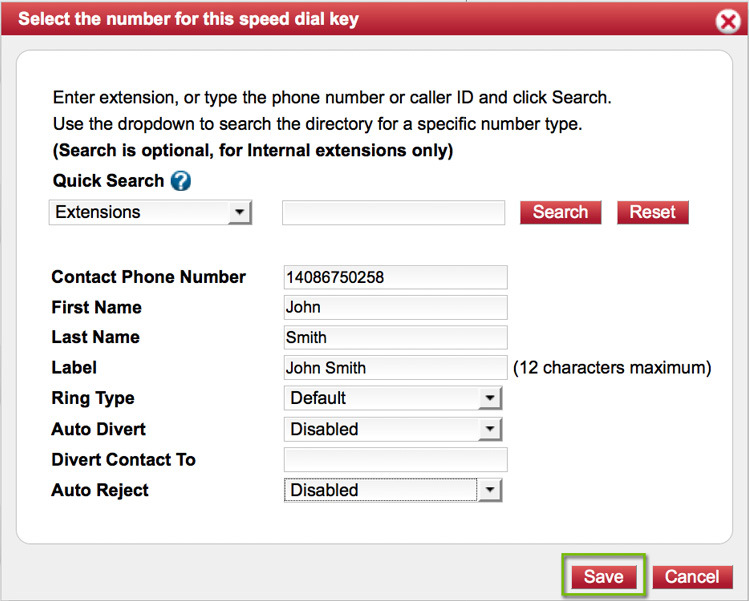 Enter a desired extension number, or caller ID, or phone number or click Search. Click Save or continue to configure SideCars. A SideCar is a phone accessory device that attaches to a business phone for additional line call handling and group monitoring. 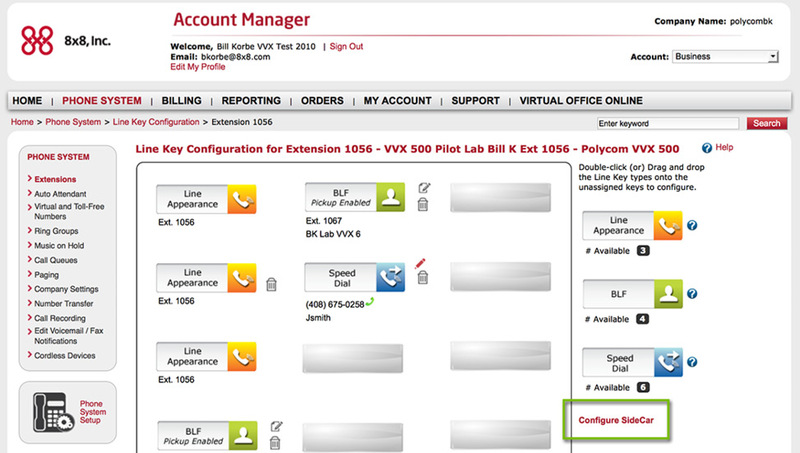 Using the Polycom VVX Expansion Modules known as SideCars, a desktop phone can handle additional Busy Lamp Field (BLF) keys, Line Appearance Keys (LAKs), and Speed Dial keys. With SideCars, you can accept, screen, dispatch, and monitor calls and reduce the number of lost customer calls, shorten transaction times, and increase the accuracy of call routing. 28-key color display SideCar: Shows a color display of assigned keys. 40-key paper label SideCar: Requires a paper label of assigned keys. For information on how to print a paper label, refer to Generate Configured Line Key Information. The supported SideCars are compatible with Polycom VVX 300/310, VVX 400/410, VVX 500, and VVX 600. Each 28-key SideCar supports three logical pages of 28 line keys. Three physical SideCars can be cascaded together for a maximum configuration of up to nine logical pages of 28 additional line keys. Each 40-key SideCar supports a single page of 40 line keys. Three physical SideCars can be cascaded together for a maximum configuration of up to three logical pages of 40 additional line keys. Click Configure SideCar under the extension's Line Key Configuration. At the prompt, update the number of SideCars attached to the phone. Depending on the SideCar model attached to the extension, the corresponding key map appears on the Line Key Configuration screen. For each SideCar 28, three map pages of 28 keys. For each SideCar 40, single map page of 40 keys. Drag and drop the desired key type to the key map or click on the key for the key type options. You can edit or delete an existing key definition. Repeat the configuration for all pages of one or more SideCars. Note: Within each page, drag and drop to reposition line keys. This flexibility is limited to SideCars only and not available on the phone. BLF key assignments are validated for any missing extension numbers. At the prompt, click Reboot Phone to push the initial line key configuration to the phone and SideCar. It takes a few minutes for the phone and SideCars to restart. 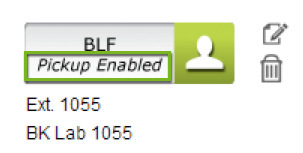 To configure Call Pickup, select the BLF key you want to enable call pickup for and click to Edit. 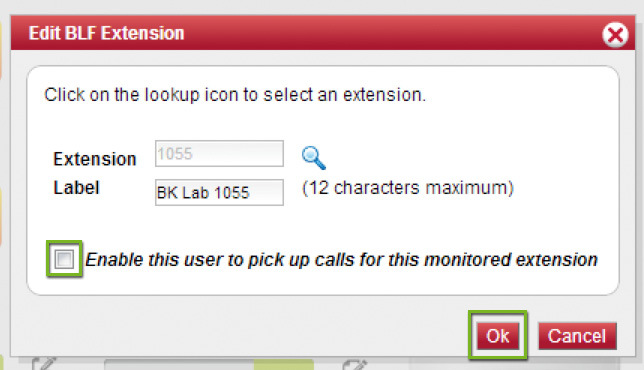 Select the Enable this user to pick up calls for this monitored extension check box, and select Ok. The key should now read Pickup Enabled. 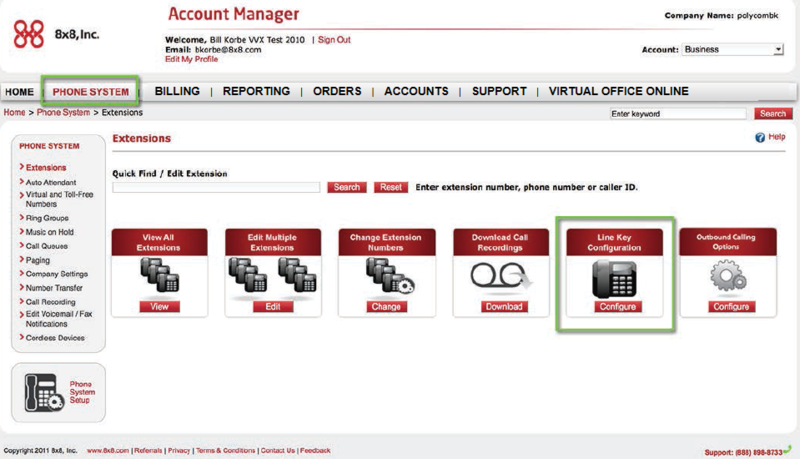 If desired (for live receptionists), select the Enable call screen notification check box. You can also select the Enable call audio tone check box. Normal BLF screen notification (this is default for normal users). BLF Key flashes to alert you when a monitored set is ringing. 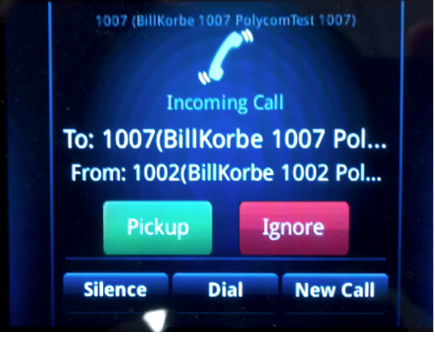 Call Screen Notification (the splash screen option is recommended for live receptionists). The full splash screen alerts you when a monitored extension is ringing. End users can edit speed dials from the phone user interface using indexes for the key positions, and assign to contact directory entries. With your phone in front of you, you can identify which Line Appearance Keys, BLF contacts, and Speed Dials are assigned to each line key on your SideCar from your VVX phone. It gives you the physical line key number. Note: This is particularly useful for 40-key SideCars. Press to display the Home view. Go to Settings > Status > Line Key Information. Press a line key. The assignment and line number for the line key you pressed display on your phone screen. Press the line key twice to return to the previous menu, or tap or select Back. Note: Applicable to paper label SideCars 40-key only. 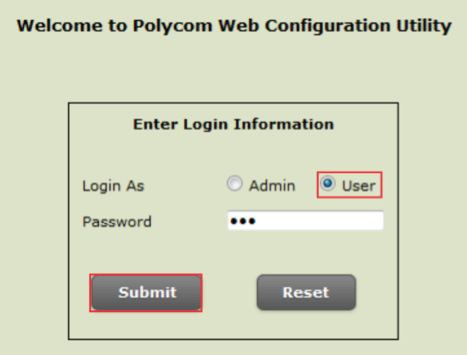 Using the Polycom Web Configuration Utility, you can generate and download a PDF file with the configured line key information for each 40-key SideCar. The generated PDF enables you to print line key information for line keys on your SideCars, and insert the PDF as a directory card on your 40-key SideCar. In your Internet browser, enter your phone's IP address into the browser's address bar. Log in as a user with the default password 123, and select Submit. Go to Utilities > EM Directory. Select the expansion module you want to generate a PDF for. In the confirmation dialog, select Yes to download the PDF for the configured lines for your expansion module. Go to Save > Open. The configured line key information for your SideCar displays as a PDF file. Download the PDF, print it, and insert it as the directory card template for the 40-key SideCar. For your convenience, a Comma-Separated Values (CSV) file is available for download. This file provides information on all extensions. A file named Extensions.csv is downloaded to you computer. The file can be opened in most spreadsheet software, such as Microsoft Excel. The CSV file shows details for each extension.